So that makes 15 months. There may be one convenient event, bang in the middle of that period, to tie up these themes of peace and succession: the treason trial of Sir Walter Raleigh on the 17th of November 1603. Briefly, the allegation was that a minor peer, Lord Cobham, met Raleigh in June 1603 when they plotted to overthrow the king and secure the succession to the throne by the English candidate, Arbella Stuart. The means was by way of a bribe of 600,000 crowns from Spain, with the intention of securing Lady Arbella’s consent to Spanish demands on the established religion in England, the end of the war, and on her marriage prospects. Raleigh was to receive 8,000 crowns and a pension. Cobham was reported as saying, “that there would never be a good world in England till the King (meaning our sovereign lord) and his cubs (meaning his royal issue) were taken away” – this pitched the treason at the highest level – lese majeste – because the intention was to kill the king and stop his line of succession. Thus the Main Plot involved Raleigh in a conspiracy with Cobham to kill the king. The lesser Bye Plot related to the conspiracy of Cobham’s brother with various priests and catholic gentlemen to kidnap the king. So far so good. So the allegations were surely a confection by Raleigh’s enemies, the prosecution a political travesty arising from official anxiety about the legitimacy of the succession. The most recent view (p.191) is that Raleigh’s procession at Elizabeth’s funeral, when he led the men of the guard, ended his career. But it’s a complex matter so I’ll put the politics to one side and simply address the trial itself. In the summer of 1603 there was a severe outbreak of plague at London (35,000 died) and the trial venue had to be switched to Winchester. The Bye Plot conspirators were sent ahead, and were tried and convicted. Raleigh followed on, setting out from Wimbledon amid the cheers of the people, but the cheers turned to jeers during his five day journey and the crowds pelted his coach with mud and stones. Tickle times: Raleigh sat tight, puffing on his pipe to give the impression of calm. The trial was held in the Great Hall at Winchester Castle. There is a tradition that a hole was made in one of the walls to allow the king to listen in on the proceedings, however James was holding court at the time near Salisbury – not quite within earshot. Proceedings began at 8 am on November 17 and were scheduled to last till 7 pm. 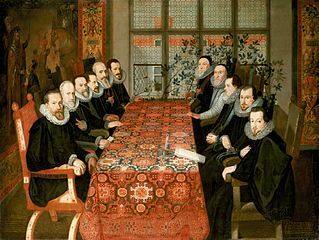 The public were admitted to one end of the hall; at the other end (where Arthur’s Round Table now hangs) sat the judges – actually a commission of eleven men, including Lord Chief Justice Popham and Sir Robert Cecil. Raleigh sat on a stool, cheerfully waving to his friends as he waited for Sir Edward Coke, the chief prosecutor. The indictment was read, charging Raleigh with high treason by conspiring to deprive the king of his government; to alter religion; to bring in the Roman Superstition; and to procure foreign enemies to invade the kingdom. He pleaded not guilty, and a jury of 12 men of Middlesex was sworn. Coke opened the prosecution case, setting out the Bye and the Main plots, and describing the treasons as, “like Sampson’s foxes, which were joined in the tails though their heads were severed“. He then explored the nature of the treasons, which pretended a good motivation but were rooted in malicious intent. As the trial went on Coke’s conduct became obnoxious, but in my view he did a good job: Raleigh was provoked into a test of wills and failed to address the jury with candour. Raleigh: To whom speak you this? You tell me news I never heard of. Coke: O sir, do I? I will prove you the notoriest traitor that ever came to the bar. After you have taken away the king, you would alter Religion: as you, sir Walter Raleigh, have followed them of the Bye in Imitation: for I will charge you with the words. Raleigh: Your words cannot condemn me; my innocency is my defence. Prove one of these things wherewith you have charged me, and I will confess the whole Indictment, and that I am the horriblest traitor that ever lived, and worthy to be crucified with a thousand thousand torments. Coke: Nay, I will prove all: thou art a monster; thou hath an English face but a Spanish heart. Raleigh: I will wash my hands of the indictment, and die a true man to the king. Coke: You are the absolutist traitor that ever was. Raleigh: Your phrases will not prove it. Coke: … You, my masters of the jury, respect not the wickedness and hatred of the man, respect his cause: if he be guilty, I know you will have care of it, for the preservation of the king, the continuance of the Gospel authorized, and the good of us all. Raleigh: I do not hear yet, that you have spoken one word against me; here is no Treason of mine done: If my lord Cobham be a Traitor, what is that to me? Coke: All that he did was by thy instigation, thou viper; for I ‘thou’ thee, thou Traitor. Raleigh: It becometh not a man of quality and virtue to call me so: But I take comfort in it, it is all you can do. Coke: Have I angered you? Raleigh: I am in no case to be angry. Chief-Justice Popham: Sir Walter Raleigh, Mr. Attorney speaketh out of the zeal of his duty, for the service of the king, and you for your life; be valiant on both sides. “I thou thee, thou traitor”? A subtle Tudor insult: “thou” was not used to address one’s superior, but “ye”: to “thou” him was to belittle him (in French, tutoyer). Coke was playing on the fact that Raleigh was not a nobleman. And note that in this exchange both men also address each other as “you”. The last time there had been an acquital on a charge of treason was in 1554, when Raleigh’s kinsman Nicholas Throckmorton walked free after a verdict of not guilty. Throckmorton had taken advantage of confusion in the treason statutes, and Raleigh seemed to place a similar bet on his own trial. Raleigh brazenly insisted on his point: “You try me by the Spanish Inquisition.” No, said the judges – the law under Edward VI was, “inconvenient , therefore by another law it was taken away“. But surely, at common law, the witness must be produced so his evidence can be tested before a jury? No, not necessary: the common law proceeds by examination and the accuser’s signed deposition is sufficient. Besides, a man does not accuse himself to accuse another – that presumption makes Cobham’s confession reliable. After a lengthy exchange Raleigh was defeated: “I know not how you conceive the Law“. Popham responded: “Nay, we do not conceive the Law, but we know the Law“. A contemporary account says that Raleigh had been, “rather shewing love of life then feare of death”, but in that response by Popham the verdict was guaranteed. Raleigh: O barbarous! If they, like unnatural villains, should use those words, shall I be charged with them? I will not hear it; I was never any Plotter with them against my country, I was never false to the crown of England. I have spent 4000 pounds of my own against the Spanish Faction, for the good of my country. Do you bring the words of these hellish spiders, Clark, Watson, and others against me? Coke: Thou hast a Spanish heart, and thyself art a Spider of Hell; for thou confesseth the king to be a most sweet and gracious prince, and yet hast conspired against him. The contest was relieved for a moment, when Arbella Stuart stepped out from the back of the hall. At the start of the trial, during the indictment stage, she had been referred to by the sergeant-at-law: “As for the Lady Arabella, she, upon my conscience, hath no more title to the crown than I have; which, before God, I utterly renounce“. Haha. But her innocence was now driven home with deadly seriousness by the companion at her side, Lord Nottingham: “The lady doth here protest“. Nobody objected – was it an approved intervention? – and so the alleged beneficiary of the treason was declared off limits. The contest resumed. Raleigh’s honour was called in question, and he admitted that, on Cobham’s proposal to him of payments from Spain, he had done nothing, reported nothing. Raleigh excused himself: “How could I stop my Lord Cobham’s mouth?” Fair enough, but it didn’t reflect well on him. Another blow was struck by Cecil. As a commissioner he often interrupted the trial to temper the prosecution’s zeal, confessing his high regard for Raleigh, but this guy was a superior politician and a subtle actor. Two years previously, at the trial of the Earl of Essex, he had rushed out from behind a curtain to counter allegations made against him – the timing was perfect, and Essex was convicted. In this case it turned out Raleigh had been in possession of a manuscript that questioned the Stuart succession. The manuscript had come from the library of Cecil’s father, Elizabeth’s great stalwart Lord Burghley. There was some comment on how councillors should be expected to keep such material to hand, but Cecil shifted the emphasis by expressing his disappointment that Raleigh had removed the manuscript without permission. Raleigh protested that he had swept it up in a bundle when invited to select some maps of the Indies after Burghley’s death – a mere oversight – but Cecil left the court in no doubt that Raleigh was guilty of pilfering from a dead man’s estate and failing to come clean: “Sir Walter used me a little unkindly“. One can sense the jurors pursing their lips. The trial seemed to be winding to an end, although Raleigh kept flaring up: “Every thing that doth make for me is cunning, and every thing that maketh against me is probable … It is a toy to tell me of the law. I defy such law. I stand on the fact“. Coke countered with his own phrases: when Raleigh protested about the admission of some wild hearsay recorded abroad in Spain, Coke said, “It shows that your treason had wings“. At one point Coke even went on strike: the prosecution was at its end when Raleigh said, “I will have the last word for my life“. Coke protested, but Cecil urged the court to hear Raleigh out. Coke “sat down in a chafe and would speak no more until the commissioners urged and intreated him. After much ado he went on”. It was a piece of theatre: after Raleigh’s last word, Coke unexpectedly produced a letter from Cobham confirming Raleigh’s treason. Raleigh produced his own letter from Cobham denying the treason. Stalemate? No – Coke claimed that Raleigh had procured his letter from Cobham while they were both imprisoned in the Tower of London, after a threatening message, pinned to an apple, had been chucked through Cobham’s window. Coke concluded: “Oh! It was Adam’s apple whereby the devil did deceive him“. But since you have been found guilty of these horrible Treasons, the judgment of this court is, That you shall be had from hence to the place whence you came, there to remain until the day of execution; and from thence you shall be drawn upon a hurdle through the open streets to the place of execution, there to be hanged and cut down alive, and your body shall be opened, your heart and bowels plucked out, and your privy members cut off, and thrown into the fire before your eyes; then your head to be stricken off from your body, and your body shall be divided into four quarters, to be disposed of at the king’s pleasure: And God have mercy upon your soul. I suggest the trial as the end of the Tudor era because it tore down a symbol. All eyes were on the new king, waiting for his declaration of intent: the Spanish, French, Dutch, Danes, Irish, the catholics and dissenters – they all needed to know whether he would break from Elizabeth’s policies. With the conviction of Raleigh it seemed the aggression against Spain and Ireland was ended, that Elizabeth – in Raleigh’s brilliant phrase, “a lady whom time had surprised” – was truly history. The trial was symbolic too in that the sentence was suspended: Raleigh spent 13 years as a prisoner in the Tower and eventually returned to favour with the king. But symbols are a convenience. We can see that in the reactions of the ordinary people to Raleigh’s journey to Winchester – so easily swayed to one view or the opposite. 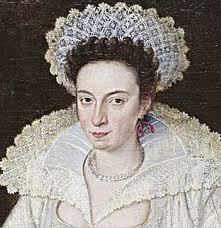 Soon Ireland had descended again into oppression and violence, and in the 1620s Elizabeth’s reputation was revived while war was resumed with Spain. Finally … Raleigh did suffer his punishment: after a disastrous voyage to Guiana in which the the king’s wishes were defied with an attack on the Spanish, he lost favour again. 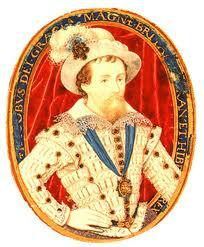 Being under peril of the law from the original sentence of death, he was beheaded (small mercy) in October 1618. The original sources for the trial are at this link, in edited format. A good account of the trial is provided in Raleigh Trevelyan Sir Walter Raleigh (2002) pp. 376 ff – ISBN 071399326x. Well researched, a bit generous to Sir Walter. The excellent Penry Williams has just published Sir Walter Raleigh: in Life and Legend ISBN-13: 978-1441112095. Chapter nine deals with the trial. 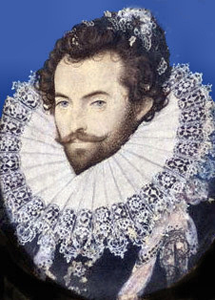 Raleigh’s case was referred to by the US Supreme Court in 1970, in the case of California v Green: “A famous example is provided by the trial of Sir Walter Raleigh for treason in 1603. A crucial element of the evidence against him consisted of the statements of one Cobham, implicating Raleigh in a plot to seize the throne. Raleigh had since received a written retraction from Cobham, and believed that Cobham would now testify in his favor. After a lengthy dispute over Raleigh’s right to have Cobham called as a witness, Cobham was not called, and Raleigh was convicted. See 1 Stephen, supra, at 333-336; 9 Holdsworth, supra, at 216-217, 226-228. At least one author traces the Confrontation Clause to the common-law reaction against these abuses of the Raleigh trial. See F. Heller, The Sixth Amendment 104 (1951).” The Supreme Court was considering the Confrontation Clause of the sixth amendment to the US constitution. Interestingly, some US jurisprudence on this point refers back to a biblical source that Raleigh did not use, the Acts of the Apostles 25:16. *The allegations were part of a continuing hysteria in England that originated in the Throckmorton plot against Elizabeth in 1583. In the following year William of Orange was assassinated at the Prinsenhof in the Netherlands. Fear of regicide was then used to magnify any unguarded remark, any bullheaded act of defiance, until the details took on the appearance of a sinister plot to overthrow the state. There had been murderous designs on the lives of both Elizabeth and James, but the effect – and perhaps the purpose – of many of these allegations was to destroy the influence of certain people who displeased the court faction currently in favour with the monarch. A dirty business. p.s. I’ve just noticed this (25/10/13): Edmund Burke refers to Raleigh’s spider in his case against English tyranny in India.